Pictures of the lava flows on Santiago Island. 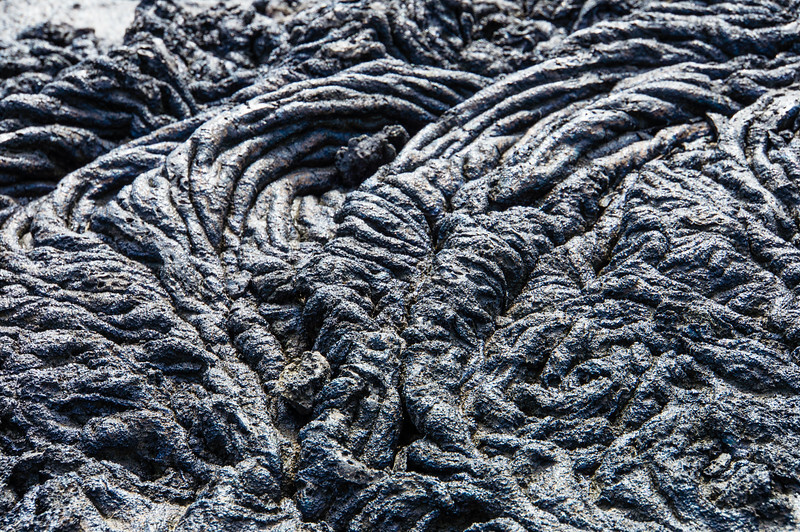 Sometime around 1900, an eruption on Santiago Island in the Galapagos led to a field of pahoehoe lava covering the southern part of the island. This is a picture of a small section of that lava showing the interesting patterns in the hardened lava.